PRODUCT: Roofmaster # 236000, 2-inch Roofing Core Sample Cutter (core cutter), 7 inches overall length. Price/Each. 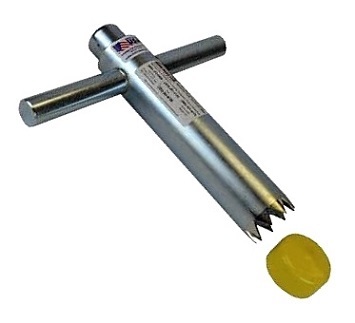 DESCRIPTION: Heavy duty all steel core cutter cuts 2" diamter by up to 7" deep roof core samples. Easy to use. Ideal for roofer, architects, engineers and consultants on the go.